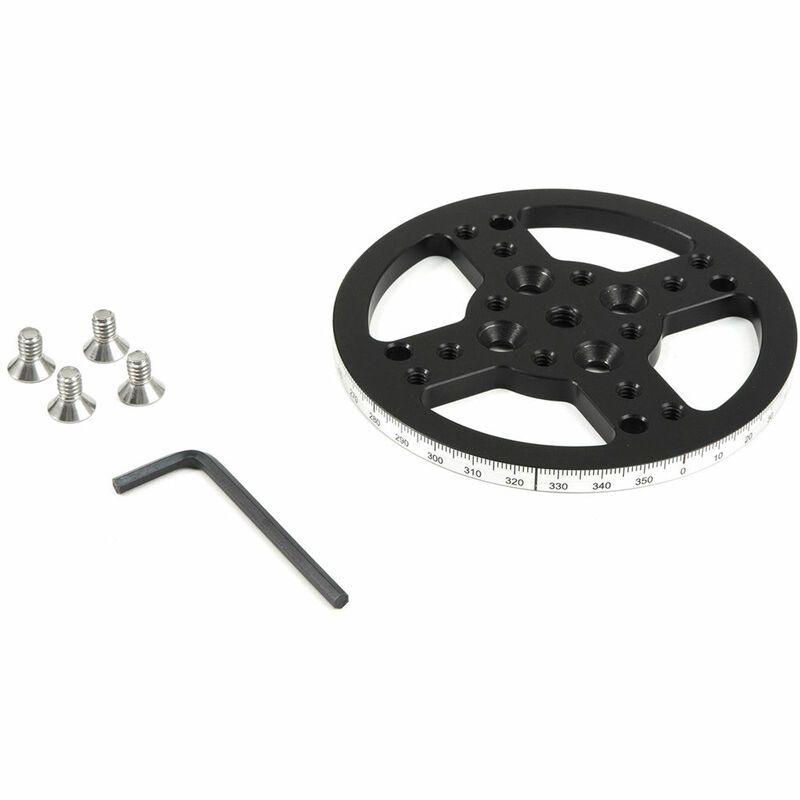 Foregoing the need to use additional motors, this Kessler Crane Turntable Conversion Kit attaches to the pan axis of the Second Shooter Motion Control System and quickly converts the system into a turntable. Included are a turntable top and mounting hardware. Box Dimensions (LxWxH) 8.3 x 7.9 x 7.4"
Second Shooter Turntable Conversion Kit is rated 3.0 out of 5 by 1. Rated 3 out of 5 by Michael H. from great turntable if you already have Second Shooter Pan Motor It would be nice if I could mount it permanently to the TLS pan motor while still allowing for the tilt motor to be mounted on top, but the mounting holes don't line up.